Foam suppliers and manufacturers possess enough control over the creation of foam to make many different grades of similar materials. While this may sound underhanded or sinister, the foam fabrication process of creating different grades and qualities is actually quite beneficial to consumers, whether it’s a new queen-size foam bed, firm foam for cushions, or packaging foam they’re looking for. And once it’s understood why there are different qualities of foam, how to identify which is which, and what each kind is best used for, getting products with performance and prices that match your expectations is far easier. First, it’s important to realize why foam is not a “one-size-fits-all” material. The ability to make materials in different grades allows for the creation of product tiers that directly benefit consumers. Given the range of applications that use foam, it makes sense that some uses have a longer list of requirements than others. For instance, a foam mattress needs to be of higher quality than single-use packaging. Conversely, spending the money on mattress-quality foam when the application only requires storage quality is impractical. With foam’s different levels of quality, customers are able to buy a grade that fits their needs without overpaying or using material that underperforms. That leads us to the next point, which is how to tell what makes a “high quality foam.” It’s possible that three foam cubes can be placed side-by-side with the same dimensions, appearance, feel, and firmness, with each having a distinctly different level of quality. Luckily, there is a simple way to gauge foam’s quality, and it is represented by the material’s density value. And to find a foam’s density, the weight of a 1 foot cubic block sample is taken; it’s as simple as that. This is because foam is basically made of two things; the physical performance material you can see and feel, and the pockets of air within the material. A greater weight and density means there is more performance material within the product. And if a foam contains more material, it will be stronger and take longer to break down, making for a higher-quality product. Knowing the reason foam is made at different grades and how to identify them brings us to our final question; what is the best use for each grade? For a basic explanation, I’ve broken foam into four quality levels: Fair, Good, Better, and High Quality. The figures used are general values and not official numbers, but are sufficient for explanatory purposes. Fair foam is in the range of .8 to 1.1 pound density. These are the lowest quality materials, but they also carry cheap foam pricing. Best used as occasional-use products, constant use will break down fair-quality foam as it’s simply not made to hold up to such frequent use. Materials in this range are best utilized as storage materials, like foam sheets for protecting holiday ornaments, fragile china, and other infrequently used, but delicate items. It’s also great for use in crafting projects like homemade stamping, or painting. Fair-quality foam can even be used as a foam mattress topper to cushion guest beds that only get a handful of sleepers every year. 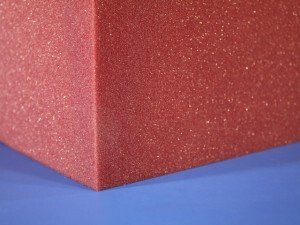 1.2 to 1.5 and 1.6 to 2.2 pound density respectively form the middle tiers as Good and Better quality foam quality. These foams have the broadest variety of uses, from packing and shipping uses at the Good density level, to many comfort and support uses in the Better level of density. These can offer sufficient shock and impact absorption for shipping and transporting delicate items. They are also used for pillows and body bolsters to create affordably priced, quality comfort products. 2.3 to 3 pound density foams are the High Quality materials people should look to when they have a heavy-duty application that needs to hold up to use for years. These products last longer and are able to bear more weight and diffuse impact better than lower quality materials. For that reason, foam in this high density foam range is typically used for couch cushions and to make quality mattresses, due to the constant physical demands placed on the materials. And though the top-quality materials carry the steepest price tags, they offer the durability and longevity you can’t find in lower quality products. With an understanding of why there are different foam grades and what purposes each best serve, it becomes much easier to make decisions based on what you know you need, rather than what a sales person says you want. Instead of paying extra for a product that does more than you need it to, or even worse, paying extra for a product that’s actually over-hyped and under-performing, you can get the performance you need at a value that fits your budget. I need an ultra firm mattress and found conventional furniture/mattresses to start at $1,000.00 for just the mattress! Then they don’t last me beyond 5 years. So, I’m now going to buy a 5″ Lux High Quality Foam, from The Foam Factory. I needed to speak with a representative to obtain more details; although it says “Firm” in the description, it would be good to know the degree of its firmness (ie. as hard as floor, etc.). These days it really does seem traditional mattresses are escalating in price without any improvements made to justify their cost. A quality mattress, when properly taken care of, should last at least seven years; the five year life span you’re getting on your previous traditional mattresses certainly is undershooting that target. For a real-world comparison, consider the rebond foam floor padding placed under new carpeting. That material is considered to be ultra-firm, around 70ILD in many cases. If you’ve ever walked, sat, or lain on a new carpet with fresh padding under it, you’ll know that while it’s soft enough to be comfy, it’s definitely a very firm material. So firm in fact, in all but the most unique situations, it’s too firm to comfortably use as mattresses and seating cushions. To relate this back to the Lux High Quality, your best idea of its feel would fall somewhere between a brand-new, supportive couch cushion you don’t sink into, and the ultra-firm carpet padding material. Hopefully this clarifies things a little for you. We’ve sent your question to our Sales Team who should be getting in touch with you soon to help answer any other questions you have about our products! the idea is to add a sheet to the box to make sure its full as the bulbs can be compressed without a problem but when they move around they get damaged. the foam in this case would be used to fill up any open space in the box, a box contains about 100 flowers, would it be better to add a closed cell foam and press it in, or an open cell foam that is compressed while packing to then expand and fill any possible space? 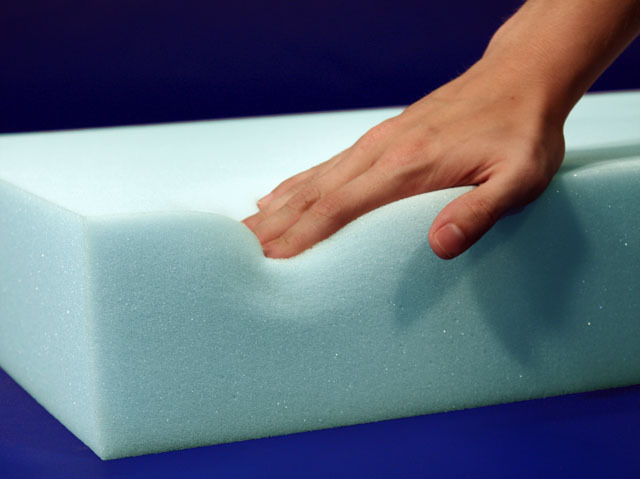 I would suggest our closed cell polyethylene roll foam for your application. 2LB density.